Krypton is based on generic framework we use to a low cost end-to-end automation solution for web sites, web based applications, mobile web site and mobile native apps. In Krypton, automation test cases are written as set of commands in Test Management. 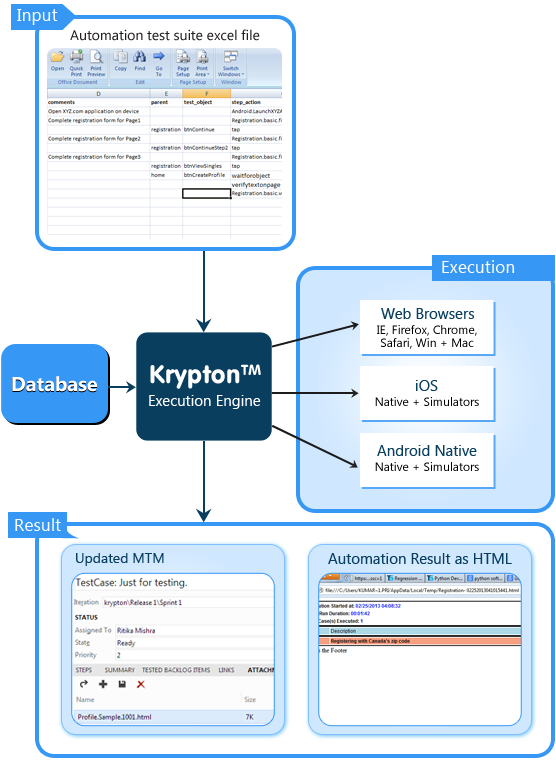 During automation execution Krypton “Execution engine” reads the test cases and executes these commands. Testers are able to write their Test Cases in Excel Spread Sheets in an ‘easy to understand’ script. 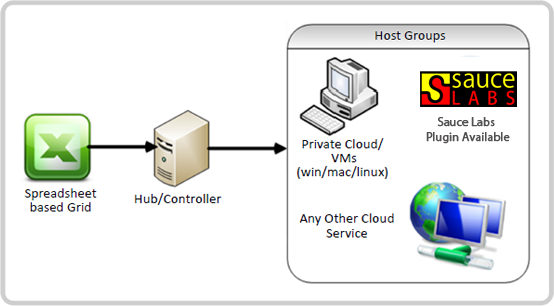 Additionally Krypton™ also has commands for retrieving data from Databases and Databases and Web Services. While executing test cases Krypton writes the result of test execution (including screen dumps) into a database. Krypton Reporting interface generates reports and email notifications from the database. Thus Krypton™ framework allows QA resources to implement – fully automated Test Cases without any Programming.